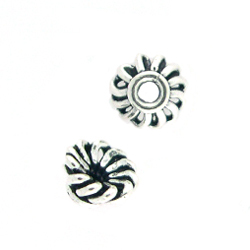 Measures approximately 6.25mm x 3mm. Hole measures approximately 1.5mm. Sold in packs of 12 (6 sets).